"Killara". At Killara you have it all; this beautifully, stylish, peaceful accommodation with rural views by the ocean, set amongst dairy and potato country. You have your own tastefully designed suite with ensuite, and private sitting room, along with homemade shortbread, biscuits, a selection of teas, and coffee with complimentary refreshments. Killara is self-contained and you can enjoy your breakfast while taking in the views of Tower Hill State Game Reserve and afterwards take a stroll around the beautiful manicured gardens of Killara. Just a short walk are the sandy beaches of Killarney, ideal for swimming, surfing and fishing. 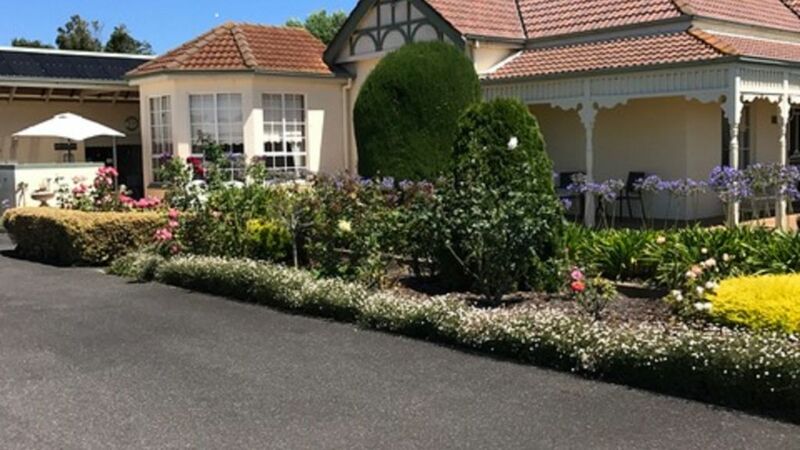 Port Fairy, Koroit and Warrnambool are a 5 minute drive away with the Grampians and wineries of South Australia a scenic 2 hour drive or just sit back and be spoilt at Killara. Please note we do not supply breakfast this is a semi-self contained suite. Clean and everything worked. Heather and Paul were lovely. A small unit ideal for a short stay. Ideal set up for a short stay. Lovely gardens and easy to get on with hosts. Trips to Killarney beach are recommended and only a short trip to Port Fairy for all other recreation needs and tucker make this an ideal location. Happy to recommend to an easy going couple. Heather and Paul were very welcoming and made us feel comfortable. The property is stunning. The gardens are amazing. We will be going back. We highly recommend amazing place. Wonderful visit, beautiful accommodation, Heather and Paul wonderful hosts, we could not have asked for a more lovely stay. Accom was outstanding, lovely country area, breakfast just beautiful!! We can not speak highly enough of Killara would recommend to anyone. Such a beautiful spot. The perfect place for a romantic getaway. We had a lovely time there and we hope to visit again soon. Thanks Heather and Paul.